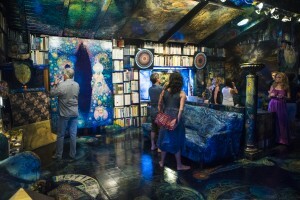 We had a spectacular night of painting, music, dance and film on Sunday in Malibu. This was more than just a screening, it was a celebration of all types of artistic talent. 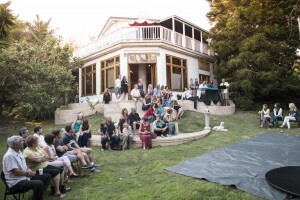 Held at Olandar, the home and creative haven of Carla and Leigh McCloskey, it was the perfect venue for a late summer screening. Through his art, Leigh has transformed Olandar into a visual soup for the artistic soul. 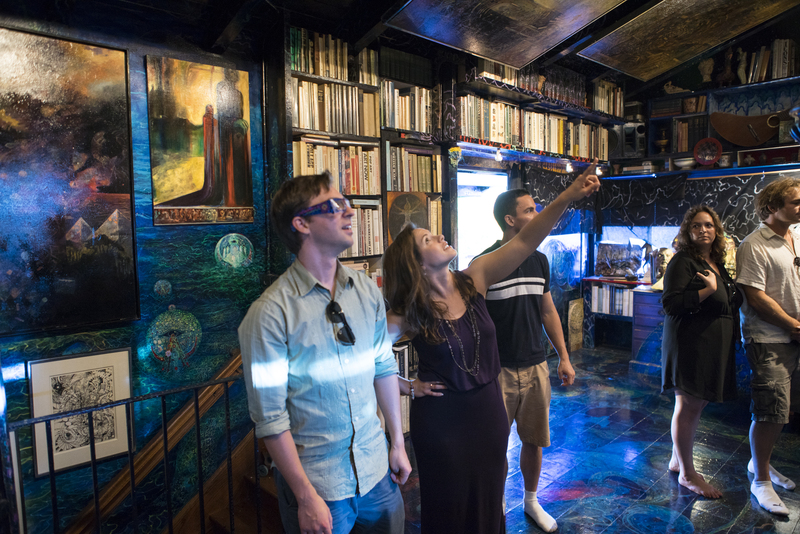 We started the evening touring the Hieroglyph of the Human Soul, his studio. After experiencing the beautiful imagery of Leigh’s art, Jagged performed in the garden. There’s nothing like seeing dancers perform to live music, and we were lucky to have Paul Anthony Romero and Brock Summers provide musical accompaniment on piano and sax. Topping off the evening was the screening of the film and a lively Q&A. Truly a screening we won’t forget! Special thanks to our friend Brett Lupfer for the photos. Can you believe he’s never photographed pole dance before? We couldn’t either. Co-Directors Matt & Katie Celia and producer Sean Barney taking it all in. Jessica Anderson-Gwin, Venus Morales, and Kristin McKnight.